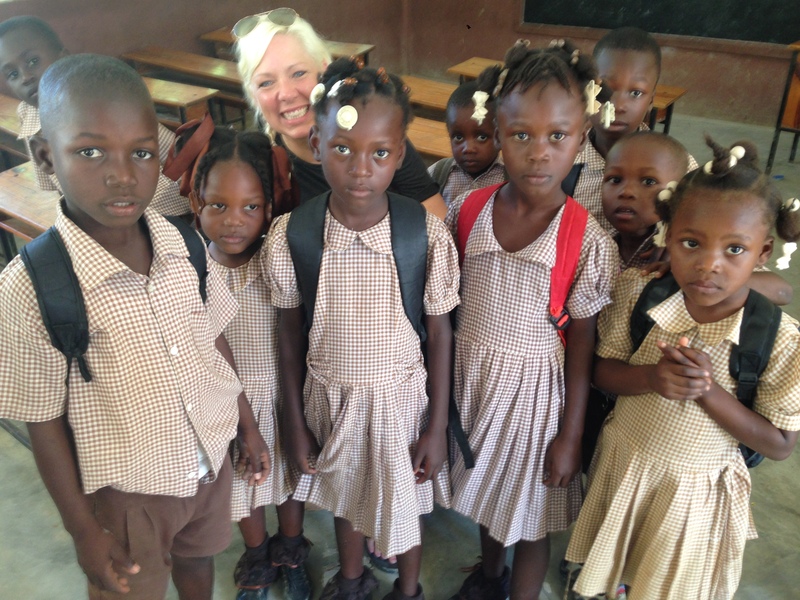 Julie with students in Haiti. Julie Greene, a special education teacher who traveled with students to Haiti on a Pure Water for the World (PWW) volunteer trip last year, has helped develop a curriculum designed to teach students concepts surrounding many international issues, such as water accessibility. 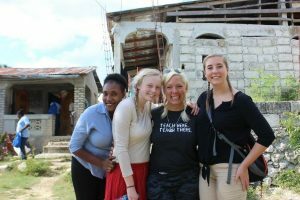 In addition to last year’s trip, Greene has traveled to Haiti 11 times in seven years, helped install four fresh water wells and worked with micro-loans and micro-financing. Greene, who has shown students videos of her testing water sources for E Coli, said she believes having students participate directly in these issues helps students not just to understand, but to think creatively on solutions to problems they would never otherwise encounter. “The goal is to help students develop the skills needed to live in our globalized world”, Greene said. Cherryland Middle School (CMS), an International Baccalaureate World School (IB) located in Northern Michigan, and the school where Greene teaches, encourages students to explore ideas and issues, then apply them to real world problems, according to their website. An IB program’s mission is to give students the tools to become more caring, creative, thoughtful and knowledgeable about intercultural issues. According to their website, about 4,000 schools offer IB programs, with the purpose of instilling these values in each of their students. 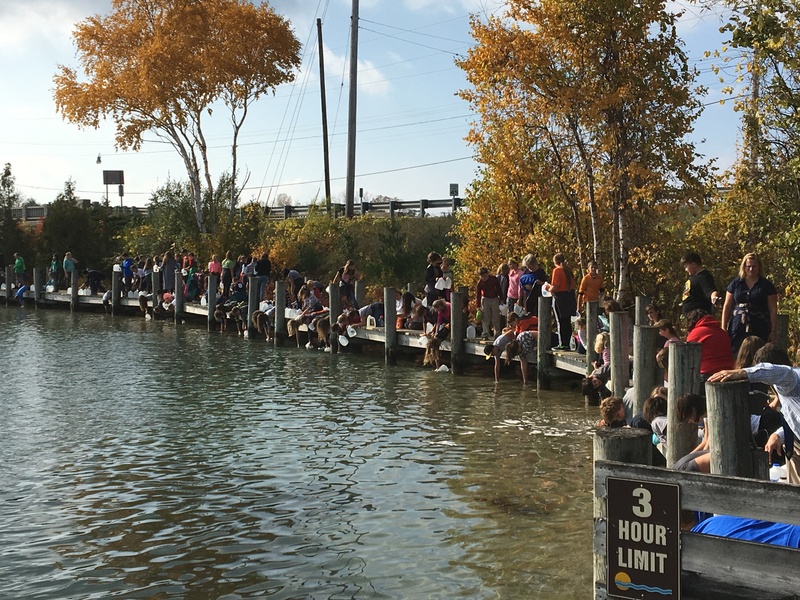 CMS uses an interdisciplinary curriculum to incorporate the concepts of the water crisis into each school subject. Greene said the reason this interdisciplinary curriculum works well for CMS is because of how each subject builds off of one another. In the fall, students read The Long Walk to Water, with the purpose of learning how a culture is affected when a water crisis happens, and, in language arts, students are given Creole lessons and write letters to Haitian students in their “sister school” in Haiti. To further support their understanding of water, in science, students build biosand water filters, and in social studies they participate in a “water walk”, during which each student will carry two gallon jugs three-quarters of a mile to a stream, fill the jugs with water and then carry them back in the hot sun. Greene said this is to help them understand the daily life and challenges of water accessibility in developing countries. Together, all of these pieces allow students to expand their minds, broaden their sense of compassion, and experience global issues they wouldn’t otherwise have the opportunity to understand. “It’s so beyond their small community…it’s these opportunities that open the world up to them,” Greene shared. 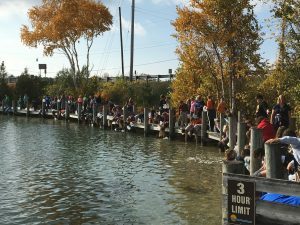 The Rotary Club of Elk Rapids (MI) has long supported PWW water projects. 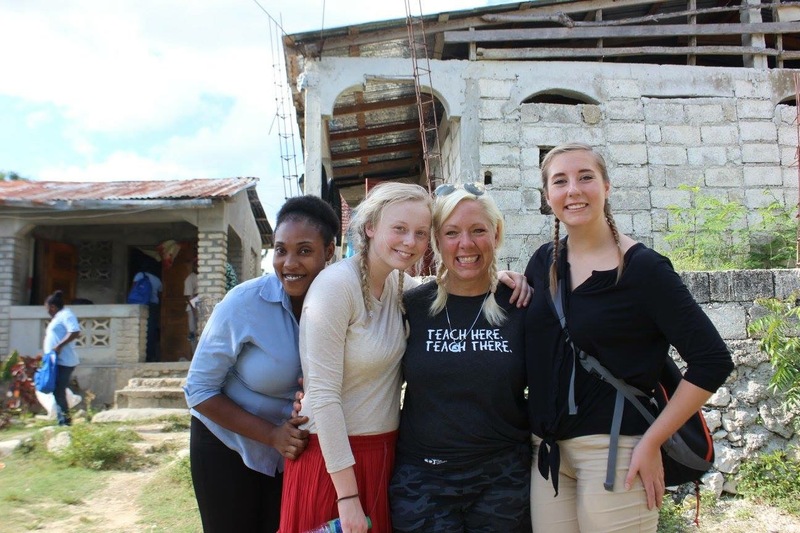 Last year, they helped raise funds for three Interact students from Elk Rapids High School to visit Haiti on a PWW volunteer trip, with members of the club. These students came back with a better understanding of life in Haiti, especially as it relates to water. They have been excitedly sharing their experience with the middle school students, who cannot wait until they are old enough to be involved with Interact and travel to Haiti. Following the IB curriculum, the final project for the students is to analyze data gathered by the team that recently returned from Haiti (using questions generated by the students) and decide upon the best, most cost-effective solution to the water crisis in Haiti. Using this information, students submit their proposal to the Rotary Club of Elk Rapids, who will consider it for funding. Greene said this curriculum is transferable to non-IB schools and that it’s simple enough to be taught at an elementary level, as well as high school. “Every single part that we do can be adapted to younger or older students,” Greene said. PWW Travelers, Uncategorized Haiti, International Affairs, International Baccalaureate World School, Michigan, Travel, water. permalink.